I experienced quite the thrill this week at the grocery store and found a fully stocked aisle filled with canned pumpkin. Are these shortages real or do they do this to inflict pain on those of us intent on doing our fall baking a tad earlier than October 1st? Regardless, the pumpkin food trend continues in our house with a new recipe to add into our family rotation and we are thankful to have our pantry filled to the brim with cans of pumpkin to make our creations. 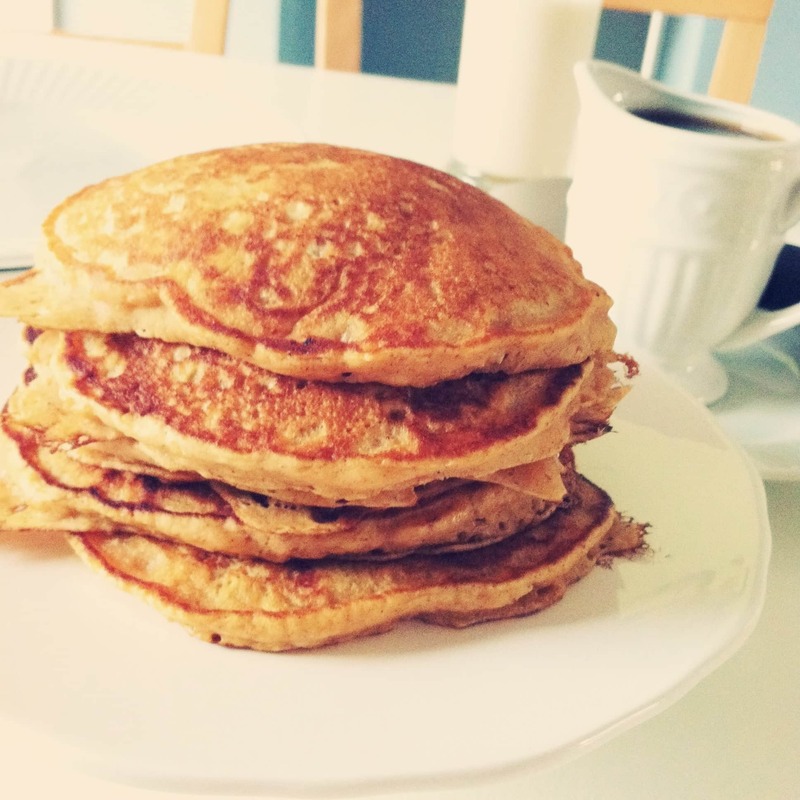 These pumpkin pancakes are truly light and fluffy with just the perfect balance of pumpkin and spices. 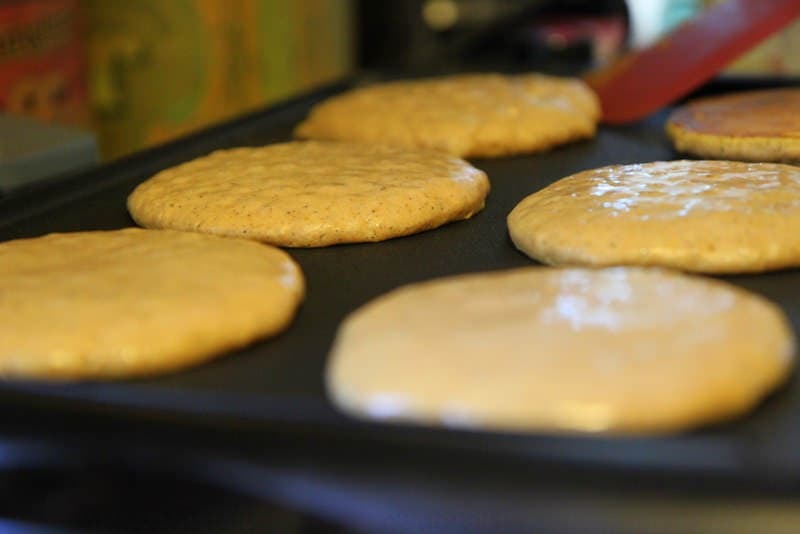 I have never experienced a more perfect pancake and a drizzle of syrup with butter makes these a delicious morning treat on a cool autumn day. See how perfectly those pancakes look? That is because I did not flip them. I am, perhaps, the worst pancake flipper in the world. My pancakes are weird shapes and are even peeled from the griddle in chunks. We have found my husband’s calling in the kitchen though and he is now the official pancake flipper in the house. He even cranks out shapes and spells things for the kids on our inexpensive little griddle. The love it and I enjoy finally getting to enjoy a hot brunch with them instead of eating alone… like on waffle days! By the way, a huge thank you to everyone for making this blog a place to visit for pumpkin ideas! Our Creamy Pumpkin Pasta was one of the 50 most bookmarked sites on the web one day on Delicious and that was a fantastic surprise! Seeing my recipes featured on Craftzine is such a highlight too! Thank you so much for sharing and trying these recipes! 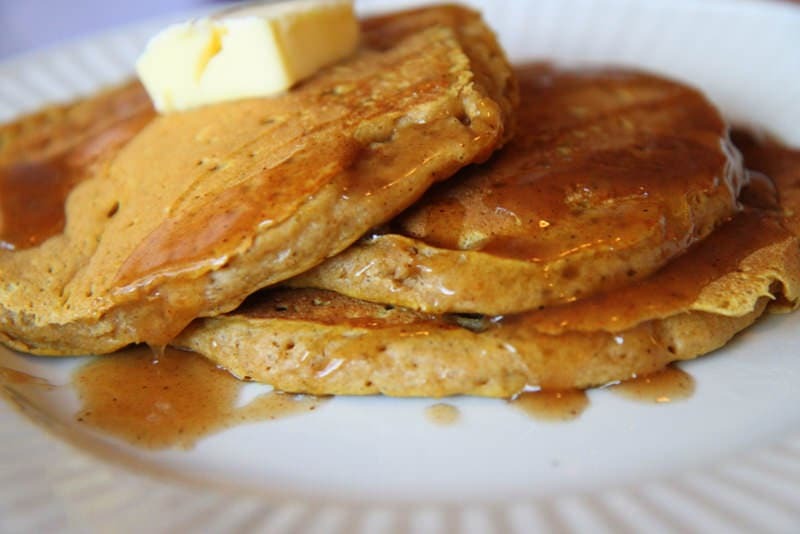 The world's best pumpkin pancake recipe. Be sure to double or triple your batches because these go quickly! Cook pancakes about 3 minutes per side. 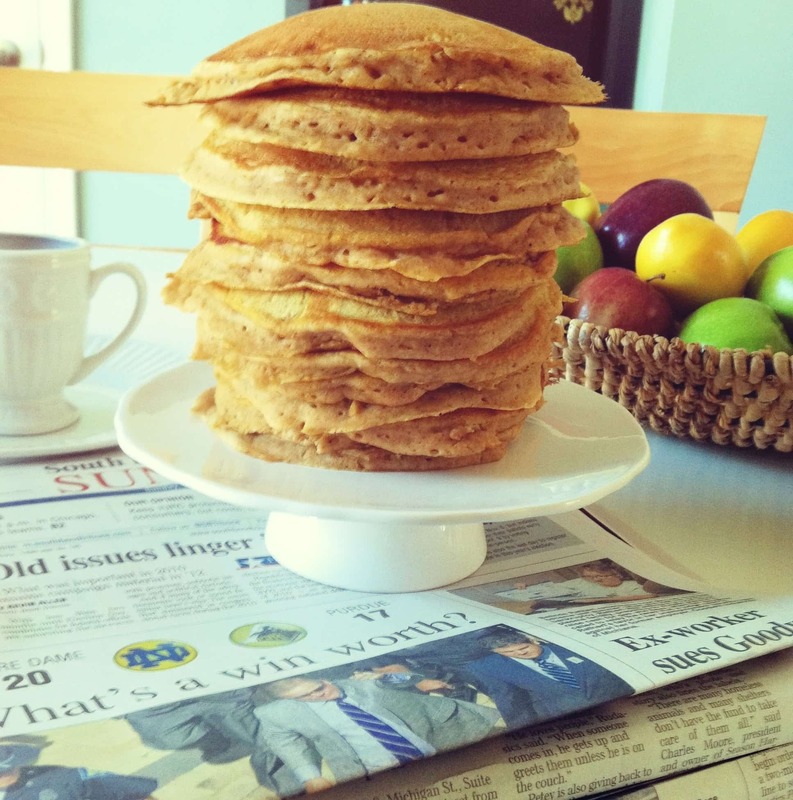 This recipe makes six 6-inch pancakes. Stumped for what to do with the rest of that can of pumpkin? Be sure to visit my list of 8 ideas for things to do with canned or fresh pumpkin this year!